JAM Pack Gold is a winning combination of four party always-popular effects that are ready to use right out of the box. 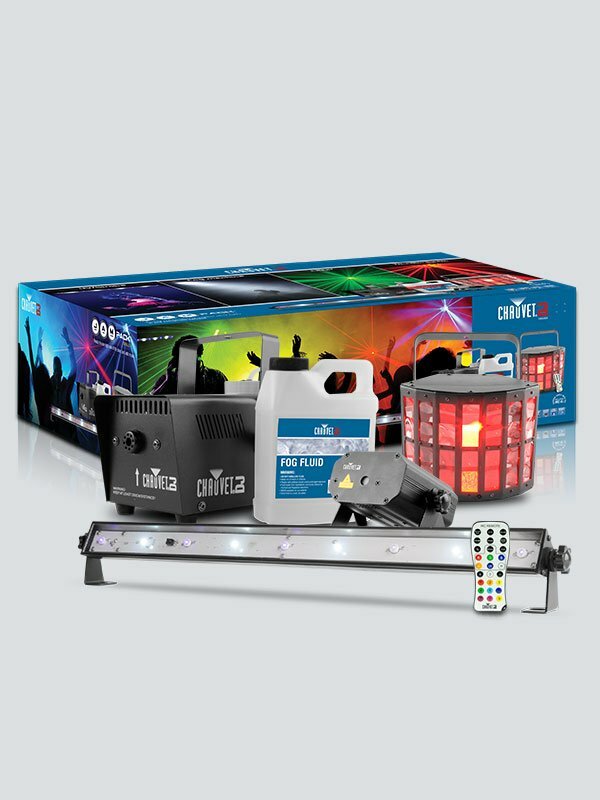 Included in the JAM Pack Gold are derby beam, laser, fog machine, and a UV wash/strobe combo light. These units can be controlled in auto and sound mound. A wireless IRC-6 remote is also included.